Meet the next generation of track lighting: TruTrack from PureEdge Lighting. Recessed, contemporary, customizable and effortless to install. TruTrack recessed track lighting eliminates the rail, saving on space while keeping the flexibility and adjustability of traditional track. Light artwork, highlight architectural features, or brighten your space for everyday tasks. Track is back, and it never looked this good. 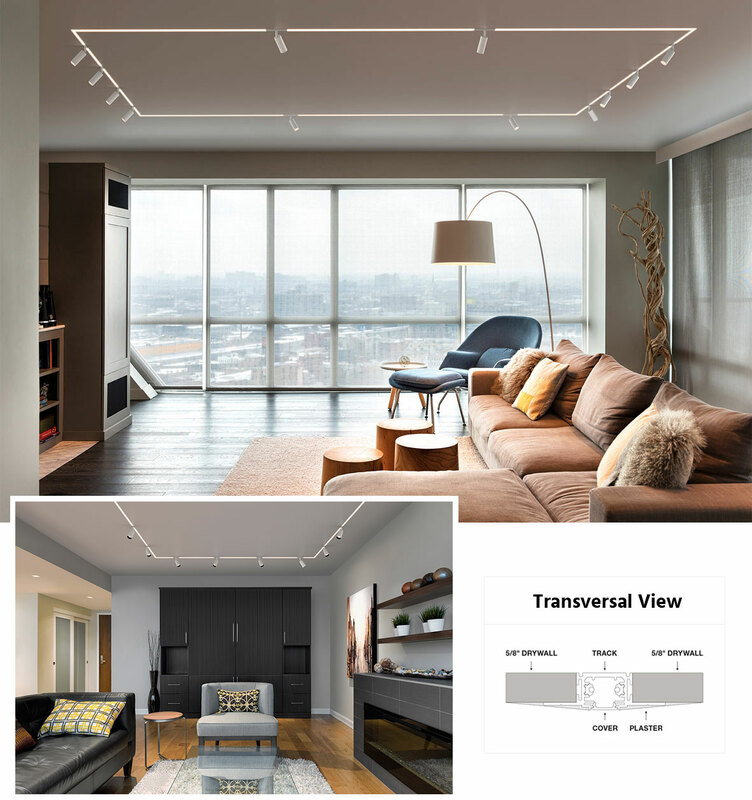 While TruTrack is recessed, it’s even easier to install than traditional recessed lighting. No need to navigate around joists and studs, TruTrack installs within the profile of the drywall. Simply adhere to a minimum ⅝” surface, wire to your remote power supply, plaster over the edges of the track lip and paint to match the surrounding surface - it’s that easy. For a look that’s truly futuristic, run LED Soft Strip right up to the TruTrack track head for a seamless line of static and adjustable light. Despite its minimalist form, TruTrack offers a wide variety of options. Install TruTrack track heads in a linear row, in groups or in tight corners. Pair lines of PureEdge LED Soft Strip with TruTrack track heads for a look straight out of the future. An array of L, X, T and corner connectors make anything possible. Add to that black and white finish options and LED color temperatures - Standard 3000K or Warm Dim 3000K to 1900K - and you're able to build the track light of your dreams. Your request has been sent - Thank You! In the meantime, explore our new arrivals. Ready to shop TruTrack? Fill out the form below and our experts will help you get started.